Students at UIC are required to take a two-semester series of first-year-writing courses, English 160 and English 161. Participation in a preparatory course is required for students whose placement tests indicate they would benefit from additional, focused writing practice before taking English 160. For more information about each course, see the brief descriptions below or click on a course title to see the full course framework. For current course offerings, visit the First-Year Writing Program's course offerings page. The first required course, English 160 emphasizes that the situation and context for producing a piece of writing helps the writer decide the form a piece of writing will take—whether to write, for instance, an essay, a letter, a report, or a proposal. The class requires four multiple-draft writing projects to allow time for and instruction on the writing and revising process. The first course of the required cycle, English 160, offers broad topics such as popular culture, self and society, literacy, and technology to make the point that writing offers a way of understanding the world as well as a way to get things done. The ability to conceptualize, articulate, and craft a response or argument—that is, to join a conversation—is key to a successful undergraduate education at UIC. English 160 is informed by the concept of situated writing, the view that writing is crafted in response to a particular situation, within a certain context, that influences the genres used and forms the writing takes. Situated writing and learning involves the recognition that one’s actions have effects beyond personal inquiry; learning is not a self-centered activity. Students must see themselves as agents whose actions have consequences in the outside world. Demonstrate rhetorical awareness of audience through different genre-based assignments. Read texts in a variety of disciplines and genres, using critical reading strategies. Draw connections at the level of ideas across multiple texts. Defend a position in relation to the range of ideas surrounding a topic. Demonstrate knowledge of writing as a process, including consideration of peer and instructor feedback, from initial draft to final revision. Students produce 20 pages of writing, spread over 4 writing projects. Each writing project goes through at least two mandatory drafts prior to receiving a final grade. This includes a preliminary draft that is reviewed by the student’s peers and which receives initial comments from the instructor. Pathos (the use of emotion to persuade an audience). With these tools, students can succeed any time they are called on to write, whether it be in a UIC classroom, in a community organization, or in their professional lives. Writing projects are assigned in a variety of different genres—op-ed piece, feature story/profile, project proposal, manifesto, film review, travel essay, dialogue, etc.—but one of the four is an argumentative essay. Students read pieces related to an issue or set of issues from a wide variety of genres and situations. The reading assignments connect to each other and to a larger conversation about an important issue and reflect the fact that issues are discussed in many different situations, using many different genres and styles. The reading assignments present a variety of perspectives on the issue. The concepts of situation, genre, language, and consequences, as well as ethos, pathos, logos, and Kairos are used as analytical tools to help students understand the reading assignments. Students are taught to recognize the claims made by a reading assignment and to evaluate those claims in order to begin developing their own perspectives. Reading assignments are discussed to show how they describe an issue and/or have a practical impact related to the issue. Students are taught how to take notes on a reading assignment in order to understand it better and make more effective use of its ideas and information in their own writing. Classroom time is spent engaging in writing-related activities that encourage active learning. The classroom activities help students connect the reading assignments and writing projects to a larger conversation and help students become more aware of the processes of drafting, revising, and editing and use these processes more effectively. Students collaborate with each other in classroom activities and are taught to comment on and edit another person’s writing. They are also encouraged to participate actively in both class and online discussions (on the course Blackboard site) of reading assignments and issues. The second required course, English 161 asks students to explore a topic in some depth and conduct independent research related to that topic. Conducting research allows students to learn what it is like to participate in academic culture, posing questions about important issues and developing an argument in response to what others have said. Often sections of English 161 focus on local concerns such as the arts in Chicago, multiculturalism, public policy, and urban issues, but the topics can vary a great deal. English 161 is an academic writing course situated in academic inquiry, where students explore a topic as a community of inquiry. This course offers students the opportunity to immerse themselves more fully in the research and writing processes, so that the research paper is the result of cumulative, engaged inquiry across all fifteen weeks of the semester. While argument is still considered the driving force behind academic writing, the English 161 curriculum emphasizes students’ understanding the arguments of others as a form of inquiry and information processing, as opposed to creating arguments of their own as gradable products. The requirements for daily classroom activities include explicit instruction and modeling of strong academic reading practices; opportunities for examining knowledge construction across the disciplines (as uncovered in individual student research); and an increased emphasis on student research and evaluation of source material. Conduct academic research drawing from multiple sources in multiple media. Construct a logically supported argument. In this assignment, students write summaries and analyses of individual texts to communicate the content of those texts, as well as document and record the important ideas encountered through individual research. One of the main goals is for students to demonstrate and communicate an understanding of other authors’ ideas to a target audience. There are two purposes for this assignment: the first is to document independent research in pursuit of a final paper topic. The second is to stretch students’ abilities to summarize and analyze using different strategies. In this assignment, students propose a topic and research questions and extrapolate on the direction they will take in the extended research project that will occupy their time for the remainder of the semester. In the research proposal, students identify and define preliminary research topic, including a research question(s) and a working thesis; explain interest in topic; attempt to answer “so what?” and “who cares?” questions. In this assignment, students explain how their research ties together, what they have learned about their topic, and what new knowledge they have built as a result of their reading. 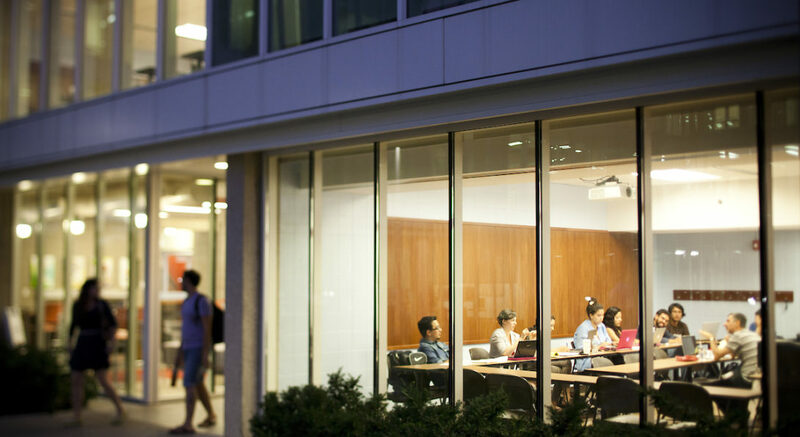 Students will work with a variety of academic, peer reviewed sources and, depending on the requirements of each professor, they may use additional, non-academic sources, as well. The assignment involves some summary and much analysis, it is important that students are responsible for taking the information in their texts to the next level to support a well-formulated and developed argumentative claim. Pieces of each text, whether in terms of thesis or supporting claims, should come together as students develop their own ideas and the ways they interpret the articles to build a single argumentative claim. In this last unit of instruction, students are immersed in the recursive process of writing an academic paper. This paper will include parts of texts written earlier in the semester (in fact, the Literature Review may be designed by the instructor for that purpose). Students should be encouraged to work on their texts during class time so that the instructor and other classmates have opportunities to intervene and/or collaborate. The final gradable product in the course may take the form of a long research paper, or instructors may choose to have students present their work in a portfolio appropriate to the amount of research they have done during the semester. Evaluation criteria should be a culmination of the skills and strategies presented in the class. English 161 sections may be topic-based, with the texts and discussions organized around a central topic of the instructor’s choice. However, readings and discussions in the early weeks are provided as baseline knowledge of the course topic in order to allow more avenues for student exploration of the topic through their own initial research. This allows students the opportunity to explore the course topic more deeply, while instigating their own self-directed research, which ultimately maximizes opportunities for individualized learning, and opens up the course’s inquiry into the topic beyond the instructor’s core selection of texts. Shorter, lower-stakes writing assignments are assigned throughout the semester in addition to the longer writing projects, allowing practice in argumentation and synthesizing of sources, in preparation for the research paper. These pieces are often written in support of the Research Proposal and Research Report / Lit Review in the midst of the semester. This preparatory class for native speakers of English emphasizes academic reading and writing with a focus on argument, sentence-level issues, and rhetorical effectiveness. The content of English 071 is similar to that of English 160, though English 071 is topic-driven and includes additional work on argument, grammar, sentence-level choices, critical reading skills, and rhetorical effectiveness. This class also requires three multiple-draft writing projects, allowing more time for the writing and revising process for each paper. English 071 is designed to help students develop the reading, writing, and rhetorical skills that are crucial to their success as college writers. To this extent, English 071 can be thought of as a “preparatory” course to English 160, which also helps students develop these same skills. However, English 071 allows for more focused emphasis on both critical reading skills and effective use of grammar and language; moreover, the course provides more extensive support for drafting, by expanding the number of drafts that students produce before submitting a final, graded version. While the writing assignments will cover various genres, the ability to conceptualize, articulate, and craft a response or an argument—that is, to join a public conversation—will be a key component of the course. English 071 is informed by the concept of situated writing, the view that writing is crafted in response to a particular situation, within a certain context, that influences the genres used and forms the writing takes. Situated writing and learning involves the recognition that one’s actions have effects beyond personal inquiry; learning is not a self-centered activity. Students must see themselves as agents whose actions have consequences in the outside world. English 071 holds that writing is both a way of learning about the world and a way to get things done in the world. This course is designed so that students use writing both to carry out an inquiry about an important public issue and to take a position on that issue. Reading assignments help students to see that the issue under study is discussed in a variety of arenas such as academic disciplines, the workplace, the marketplace, politics, law, art, and the popular media. Writing is used to allow students to articulate their positions in the context of this public conversation. English 071 provides students with a set of concepts that they can use as both readers and writers to participate more effectively in public conversations. This can include, but is not limited to, an introduction to situation, genre, language, and consequences, and/or ethos, pathos, logos, and kairos. Having become familiar with some of these terms, students should leave 071 with a deeper understanding of how conceptual frames can improve their ability to think or write critically about a text. Students complete three or four writing projects during the semester. Each writing project goes through at least two mandatory drafts prior to receiving a final grade. This includes a preliminary draft that is reviewed by the student’s peers and receives initial comments from the instructor. Writing projects are assigned in a variety of different genres—op-ed piece, review, graphic essay, dictionary, newsletter, feature story/profile, proposal, manifesto, travel essay, dialogue, etc.—but one of these contains an argumentative component. The writing projects connect to each other and to a larger conversation about an important public issue. This is an inquiry-based, topic-driven course; inquiries can be as broad as analyzing current news or as narrow as analyzing stand-up comedy or the superhero as mythology. In this regard, English 071 resembles English 161 in that both courses are driven by a single, coherent topic of inquiry around which the reading and writing assignments are organized. The writing projects help students develop a position on the inquiry and explore how they might add their perspectives to the conversation. Students are encouraged to take into account perspectives that differ from their own and address these in their writing. Students incorporate ideas and information from various sources into their writing, using the appropriate conventions to acknowledge the sources. Students read pieces related to an inquiry that provides a consistent focus or theme for the class. The reading assignments connect to each other and to a larger conversation. The reading assignments present a variety of perspectives on the issue. Students learn to recognize the claims made by an author and to evaluate those claims in order to begin developing their own perspectives. Reading assignments are discussed to show how they describe an issue and/or have a practical impact related to the issue. Students are taught how to take notes on a reading assignment in order to understand it better and make more effective use of its ideas and information in their own writing. Students are introduced to citation practices and how to avoid plagiarism. Instructors help students decode different kinds of textual “difficulty,” including issues of length, density, unfamiliar genres and/or conceptual frames, etc. Classroom activities help students connect the reading assignments and writing projects to a broader inquiry. Classroom activities help students understand a variety of conceptual frames and how these concepts can help or limit the way we think about a text. Classroom activities help students become more aware of the processes of drafting, revising, and editing and how to use these processes more effectively. Students collaborate with each other during in-class activities. Students practice commenting on and editing peers’ writing. Students are encouraged to participate actively in both class and online discussions (on the course Blackboard site) of reading assignments and issues. Technology is used to research, write, and communicate with others both inside and outside the classroom through the course Blackboard site. Emphasis is placed on familiarizing students with how to focus their online inquiries so as to yield more useful search results. Instructors may cancel up to two weeks of in-class time in order to conduct one-on-one sessions with students. As students are expected to produce writing in a variety of genres, the notion of “correctness” may vary from project to project. However, in all cases, students will be responsible for producing language that is rhetorically effective in any given writing situation, including that of academic argumentation. Classroom discussions focus on audience and how different discourse communities create expectations about what constitutes “correctness” for a given piece of writing. The 071 classroom emphasizes social contexts for academic discourse and non-standard language forms. Students are taught to recognize and correct some of the most consequential errors in academic writing, including run-on sentences, sentence fragments, errors in agreement, incorrect word choices, and errors in punctuation or spelling. Consequential errors are discussed in terms of the student maintaining his or her authority within a given discourse community. A minimum of ten grammar lessons are taught over the course of the semester. The class’s listed grammar resource (the Purdue OWL, the Longman Writer’s Companion, MyCompLab, A Common Sense Guide to Grammar) is used extensively throughout the semester. Students are encouraged to seek appropriate help from others throughout the writing process, including the teacher, classmates, and tutors. The 071 class is collaboratively linked to the Writing Center and students are made to feel comfortable utilizing this resource. Evaluation of student performance in English 071 is conducted by faculty review of student portfolios. In the final week of the course, each student compiles a portfolio consisting of all drafts of two writing projects (one of which is the argumentative essay) and a cover letter reflecting on their writing, what they have learned throughout the course, and why they believe they are ready to progress on to the next level, English 160, or advance past 160 and into English 161. No letter grades are given, only Satisfactory (S) or Unsatisfactory (U). Writing Center collaboration: at least two sessions devoted to Writing Center group work. Three major writing projects, one of which is the argumentative essay. Intensive focus on grammar & mechanics instruction, with a minimum of 10 identifiable grammar lessons in the syllabus. This preparatory class for non-native speakers of English emphasizes the second-language writing challenges presented by syntax (structure), semantics (meaning), and pragmatics (use). The content of English 070 is similar to that of English 160 but focuses more heavily on academic rather than public writing. The class requires three writing projects to allow for time and instruction on the writing process and on sentence-level skills.